Spoiler warning! 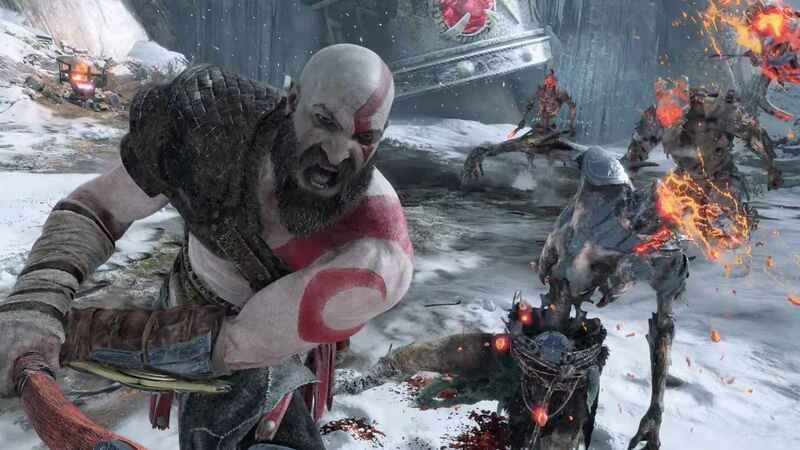 Turn away now if you don’t want to find out anything about God of War’s secret, optional boss Sigrun. This is the toughest boss to beat in God of War, and we’re going to show you exactly how to take her down. Sigrun is also the final boss in God of War PS4. We currently have a boss battle video for the secret boss, but it contains spoilers, so please don’t click on it if you care about spoilers! Trust us on this! We’re also not including any screenshots of the boss fight. Again, we want to be mindful of spoiling the visuals of the fight for you! 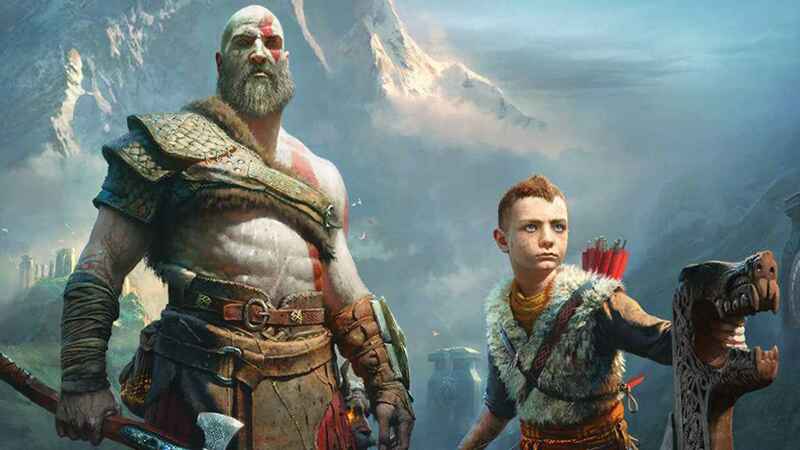 Also, if you’re looking for more tips, check out our guide to crafting, how to level up in God of War and learn how to fast travel. Sigrun's fight is a true gauntlet — our successful kill took almost 8 minutes on its own. You'll need to have laser focus and lightning reflexes while keeping your composure and concentration for the entire fight. Add in perhaps dozens and dozens of attempts leading up to your ultimate triumph, and this gauntlet can quickly get exhausting. Take frequent breaks to recover your physical and mental stamina. Use this time to breathe, exhale any frustrations, and reflect on the spots giving you trouble so you can return to the fight with renewed vigor. Clear eyes. Full hearts. Can't lose. 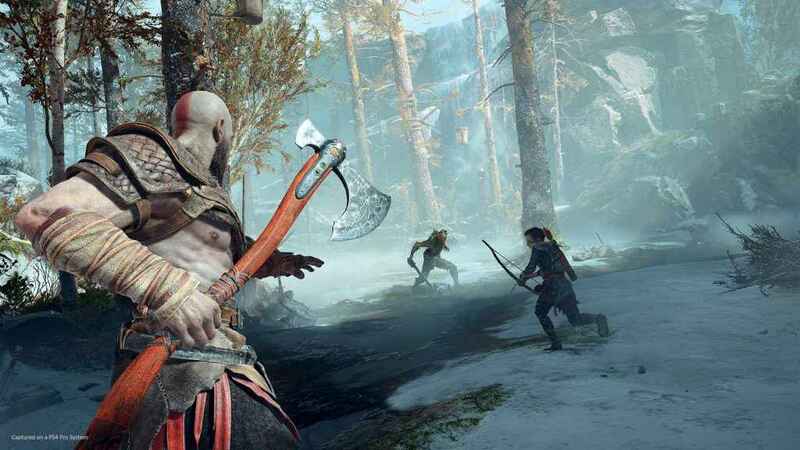 Unlike many God of War bosses, Sigrun can't really be broken down into “phases” with distinct patterns and rhythms. Instead, she'll somewhat randomly use every move in her arsenal throughout the fight. Her attacks include every move used by previous Valkyries plus a few of her own, so you'll recognize several fairly quickly. The challenge comes from reacting to every move on the fly, as you never know what's coming next and you'll sometimes have mere microseconds to move. Because her fight isn't memorizable nor even predictable, you'll have to rely on good old-fashioned practice. Victory will come by building muscle memory for dodging and blocking every move, then having the patience and perseverance to string it all together near-flawlessly. However, there are several steps you can take on the front end to make life easier. MAJOR SPOILER – We purposefully didn’t mention something within the guide, so please do not watch if you want to keep it a surprise. We highly recommend Ivaldi's gear set for this fight. You can purchase this gear from Sindri in Niflheim and upgrade them using Mist Echoes, Aesirbane, and other Niflheim-centric materials. Each item in the set gives passive health regeneration. Assuming you're relatively skilled at dodging and creating separation from Sigrun's attacks, this regen effect can make a big difference over time, allowing you the breathing room of several extra mistakes throughout the fight. The specific type of Ivaldi equipment you wear isn't terribly important, though mixing Defense and Vitality makes sense for, again, that extra bit of breathing room. However, these items are expensive and time-consuming to upgrade, so if you think you may want the Strength-boosting variants of Ivaldi's gear to use for other endgame activities, that's an understandable choice. It will also result in a quicker kill, so play to your strengths. For enchantments, we recommend complementing your armor choice with items that boost Cooldown first, Strength second. You won't be able to use your Runic Attacks on every opening, but you should strive to have them up as much as possible. A balanced stat approach makes the most sense here–Defense on your gear gives breathing room for mistakes, Cooldown will boost uptime on your most damaging skills, and higher Strength keeps damage going in the moments between. For your talisman, we recommend Aegir's Protection. This “defensive zone” is basically an area-of-effect healing spell that lasts several seconds, enough to restore one or two potions-worth of health. Don't wait to use it, though. At 75% health or lower, if the cooldown is up, you should pop it before it's too late. Minimize your own movement so you get the most effect from its duration. For Runic Attacks, focus on quick-use, quick-recharge skills like Hel's Touch. For heavy attacks, try to balance low cooldowns with longer invincibility windows and multiple hits. Equip Atreus with the Legendary Runic Vestment for a chance to turn up Healthstones and stick with Shock Arrows. Sigrun is immune to normal stun rules, so better to apply a low-damage Shock effect–plus you'll largely be saving those arrows to use as interrupts on a few specific attacks. As mentioned, victory over Sigrun will primarily come through practice and muscle memory. However, we can tell you that every single one of her attacks has a corresponding dodge or block that, if executed properly, will prevent the hit or even stagger her for a quick combo follow-up. This is the “rhythm” of the fight: adapting near-instantly to each move she chooses, following up after she finishes with a couple strikes of your own, and whittling down her HP over time. Let's first break her entire moveset down into component parts. This will make labeling and describing her combos easier after we're through. Slide Dash – Sigrun slides an extreme distance, either left or right, then charges with a red pulse, extending her right wing outward in a stabbing motion. This can only be reliably dodged to the right, as the hitbox of her wing strikes from the left. Rising Flash – Sigrun rises slowly and charges a blinding flash, which covers Kratos' view for several seconds if allowed to go off. It can only be interrupted by Atreus' arrows. Rising Swoop – Sigrun rises slowly and swoops toward Kratos. As a “yellow pulse” move, this can be parried with last-second timing, but it's safer to have Atreus interrupt the swoop with an arrow. Rising Disc – Sigrun rises slowly and, with a red pulse, lets loose a spinning disc at Kratos. This can be sidestepped, but use Atreus' arrows to interrupt her. Rising Swarm – Sigrun rises slowly and releases several pieces of shocking shrapnel that swarm toward Kratos. This is difficult to reliably dodge and should be interrupted with Atreus' arrows. Airborne Dash – Sigrun rises slowly and, with a red pulse, dives toward Kratos in a straight line across the arena. She typically performs this three times in quick succession and cannot be interrupted. Dodge-roll to the sides and close in after the third dive for a few hits. Quick Dive – Sigrun rises quickly and almost immediately comes down upon Kratos, trapping him beneath her heel. This is her most damaging move and also tricky to dodge. As soon as flies up outside of your view, do a dodge roll to the side. If you react quickly enough to her flight, this should cause her to miss you when she comes down. She typically uses this move three times in a row, so continue dodge-rolling to avoid the second and third dives. Blade Wing – Sigrun raises her wing diagonally and slashes for at least two hits. Sometimes, she'll following this up with a yellow-pulse move that can be parried. Other times, she'll continue with four total hits. Keep your shield up and if you see a yellow pulse after the second hit, time the parry. If you see a red pulse after the second hit, dodge to the right away from her stab. Bladed Slide Dash – A variant on the Slide Dash where Sigrun ends her slide with Blade Wing and a red pulse stab instead of the single stabbing motion. If you don't see a red pulse during her dash toward you, raise your shield, as Blade Wing is coming instead. The third strike will be the red-pulse stabbing motion, so dodge to the right. Shield Wing – Sigrun raises her wings in front of her, shielding all damage. If she is struck twice while in this state, she will knockback Kratos for heavy damage. She will also knockback Kratos for heavy damage if left alone for more than a few seconds. Quickly dodge *toward* her to close distance, then double-tap L1 for a shield bash to break her guard. Follow up with a few hits. Spinning Death – Sigrun spins rapidly with her bladed wings, dealing melee damage when close and firing shrapnel when at a distance. This move can sometimes appear as a follow-up to Bladed Wing (after dashing away then back toward you) or as a precursor to a single Quick Dive. Keep your shield up and watch closely for what she does next. Blinding Strike – Sigrun will pulse red and move to strike the ground. She holds her scythe overhead while doing so. At close quarters, if you see these tells, roll directly away to create distance and avoid the blind effect. She'll immediately follow with a normal strike that looks similar. Dodge this and hit her back. Icy Storm – Sigrun fires a barrage of icicles at Kratos. After a split-second pause, she'll fire the final icicle–a large missile that can't be blocked and applies Freeze status. Raise your shield to block the initial stream and watch for a red pulse to mark the final missile. Side-step this shot. Hellfire – Sigrun calls down fireballs in a wide, straight line in front of her. This can be easily side-stepped, but do not step back onto the fiery line for several seconds, as it applies Burn. She'll frequently follow this attack with a Slide Dash or Wing Shrapnel. Shock Wave – From a distance, Sigrun slides her scythe along the ground and sends a yellow wave at Kratos. This is hugely damaging. A red pulse and the animation of her sliding her weapon on the ground are tells; dodge to the right or left before the wave appears to successfully dodge it. Wing Shrapnel – From a distance, Sigrun swipes her wing and sends four shrapnel pieces flying at Kratos. These are easily side-stepped or blocked. Sigrun will deploy some of her attacks on their own, randomly–without other moves to make it a combo. However, she will often string attacks together in a combo that requires a series of timed dodges and blocks before you'll have an opening to strike. Here are the combos we've seen, plus a few notes on how to deal with them. As mentioned, Quick Dive often comes in threes. The best thing you can do is continue dodge-rolling, but try rotating your camera while rolling to keep an eye on her and see whether she jumped away after the first Quick Dive. If Sigrun leaps away from you after the first Quick Dive, quickly re-center your camera and step to the right to dodge the Slide Dash that's coming. Block Sigrun's four hits and shield bash her wings to break the guard. Block Sigrun's two hits and when she slides away (breaking camera focus), turn to face her while keeping your shield raised. Handle the same as the previous combo. Block Sigrun's two hits and when she slides away, (breaking camera focus), turn to face her while keeping your shield raised. Dodge the wave when you see Sigrun slide her weapon against the ground, and prepare to parry the incoming yellow swoop. If Sigrun slides away from you and uses Spinning Death at a distance, keep your shield up to protect from shrapnel and dodge-roll as she leaves the ground to clear the dive. If Sigrun slides away from you and uses Spinning Death at a distance, keep your shield up to protect from shrapnel. If she moves toward you, keep your shield up to prepare for the coming hits and watch carefully for either a yellow, red, or four-hit conclusion to Blade Wing. An easy variant to counter. Raise your shield to block the shrapnel from her spinning at distance, and prepare to dodge-roll to either side if she rises slowly with a red pulse. Side-step two volleys of shrapnel. If she slides a large distance shortly after, prepare to dodge to the right. Dodge right to clear the fire column. If she slides laterally, continue dodging right for the stabbing strike. Dodge right to clear the fire column. If she moves toward you, raise your shield for the bladed hits and dodge right to after her final wing slap to dodge the incoming stab. Dodge right to clear the fire column, then right then left to dodge one or two incoming waves of shrapnel. 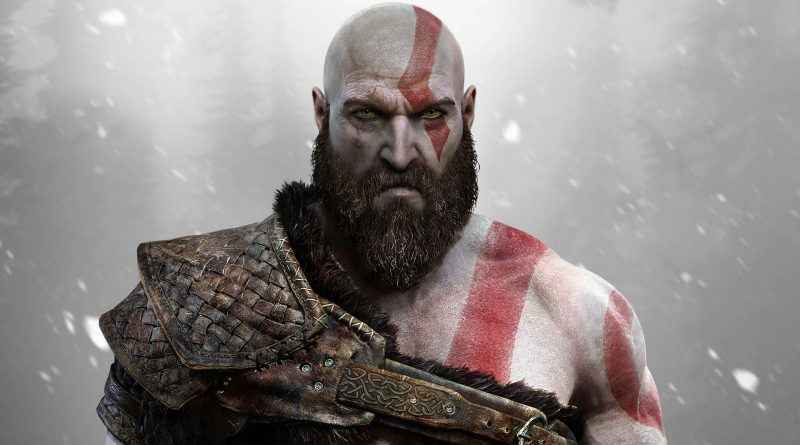 God of War Sigrun Boss Fight Guide to Defeating the Toughest Boss. Many of the above combos finish with Sigrun momentarily pausing or you staggering her. If she happens to do this near you because of the close-quarter nature of the attack, seize the moment to strike. If you're quick, she'll take up to four light attacks, or two or three heavy attacks, before leaping away. Don't get greedy and push the offensive–merely get in a few hits while it's safe. She may randomly pop Shield Wing during these brief windows of offense. Be ready to double-tap L1 the moment your first hit gets deflected so you don't trigger her damaging counter with a second. If your Runic Attacks are up, try to line one up during these brief offensive windows. If you're reacting to her vulnerability a second or so late, stick with your normal attacks for now–there's a chance she'll leap away before the Runic Attack completely plays out. Save Spartan Rage to use as a healing tool if Aegir's Protection is on cooldown. Stay on the light punch offensive, but don't hesitate to use L1's stomping interrupt or your usual dodging moves so that you avoid damage and prolong the duration of Spartan Rage. Weave quick hits into the brief windows after reacting to Sigrun's combos to whittle down her health over time. Save Atreus' arrows for her Rising moves, which tend to happen in quick succession.